In one of our Just another Friday at ABG blog posts, we talked a little bit about the geese we have living in the front pond outside our office. This is the start of many posts that will walk you through the past, present and future of the Geese of ABG Capital. 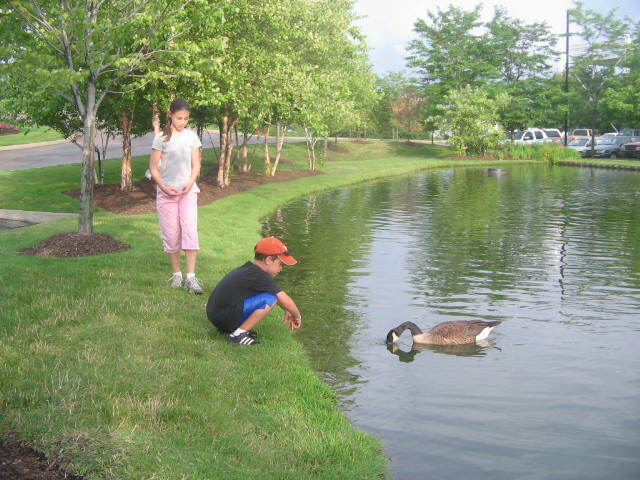 When we moved to this building in July 2007, there was only a single goose living in the pond that we named George. We all thought he was a pretty cool guy, too! He never seemed to have a care in the world and just walked around looking for some attention. He reminded us of the kind of friend that everyone has who always wants to hang out and do nothing, while eating your food and drinking your beer. George stuck with us all through the summer and fall, but after he left for the winter, we never saw him again. We did, however, have a new set of geese grace our pond. Those two geese laid 6 eggs that spring and when they came back after winter, they had brought their mates back with them. That meant that we had 12 geese in our pond. When it came time for those 6 sets to have babies, it seemed as if they would take turns laying eggs because there was always just one nest. 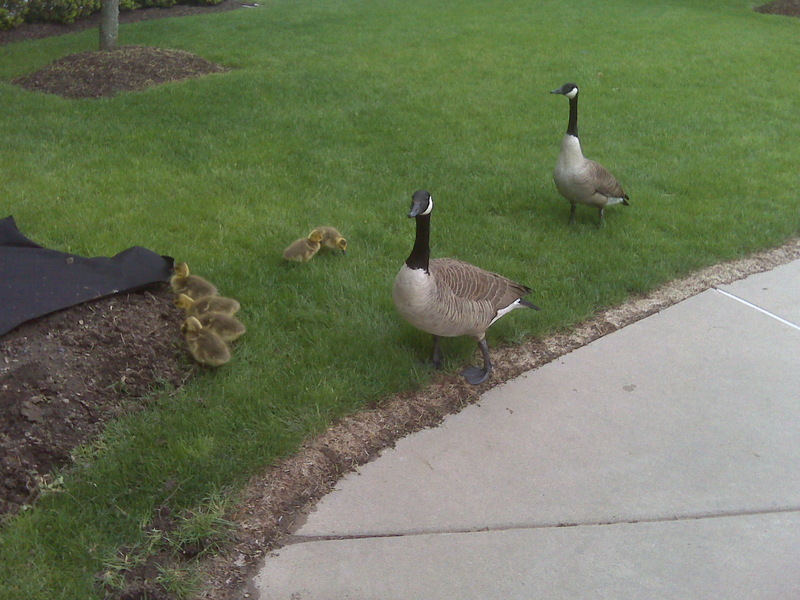 From this point on, their goose family grew just as much as our ABG Capital family did. Now that you know a little bit of the history of these geese, we need to tell you about what it’s like when the babies start exploring their new home. It’s really an incredible site to see right outside our windows! You may know what to expect from watching it on the Discovery Channel or Animal Planet, but trust us when we say it’s a completely different experience watching it in person. They would all line up, the mother in the front, the father bringing up the end, and walk around the pond, the parking lot and the building. The parents were training them to stay within the parameters of their home and you could tell the babies were understanding their training. Every now and again we’d see a little one testing his boundaries and then retract when the mother started to notice. Once the baby geese became familiar with their surroundings, it was time for them to start learning how to fly. This may be our favorite part of having the geese around the building. Seeing them learn to fly is just like you can imagine it; jump a little, *fall*, jump a little and flap the wings, *fall*, jump a little higher and flap a little harder, *SOAR*. Hopefully this year we can get videos of this to share with you! Another adorable story that comes with watching these baby geese grow up is when they first see their reflections. It’s much like watching a baby look at himself in a mirror for the first time except instead of a mirror, the baby geese would use windows or bumpers. Once they saw their reflections they went a little crazy and even tried fighting with it! This entry was posted in ABG Capital Geese, small business and tagged ABG Capital, Geese by Natalie DeCario. Bookmark the permalink.